Happy July to you all. I hope you are all managing to get some escape time from the Arizona heat and now let’s tack on the monsoon! Quick update on Isabel – First, thank you all so much for the prayers, kind words, and healing energy she is getting. We feel so blessed to have so many wonderful friends and the power of this is definitely felt and appreciated. Isabel had her first chemo treatment this past Wednesday and so far, she is doing well and has had no adverse side effects so please keep those prayers coming. She is busy attending meetings, designing, and working away with her team at Earth and Images which she loves so much. She has set up a Caring Bridge account at https://www.caringbridge.org/visit/isabelcandelaria and so I invite you to follow her battle there! 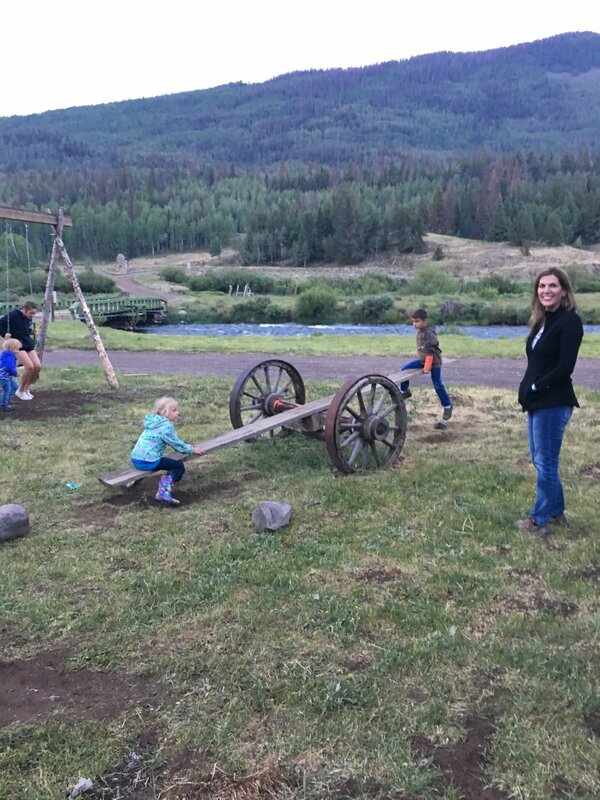 Meanwhile, we did get away to Colorado for the week of the Fourth with some family time in the high country off the grid with no cell service or wifi for nine days! I made it….and actually really enjoyed it. 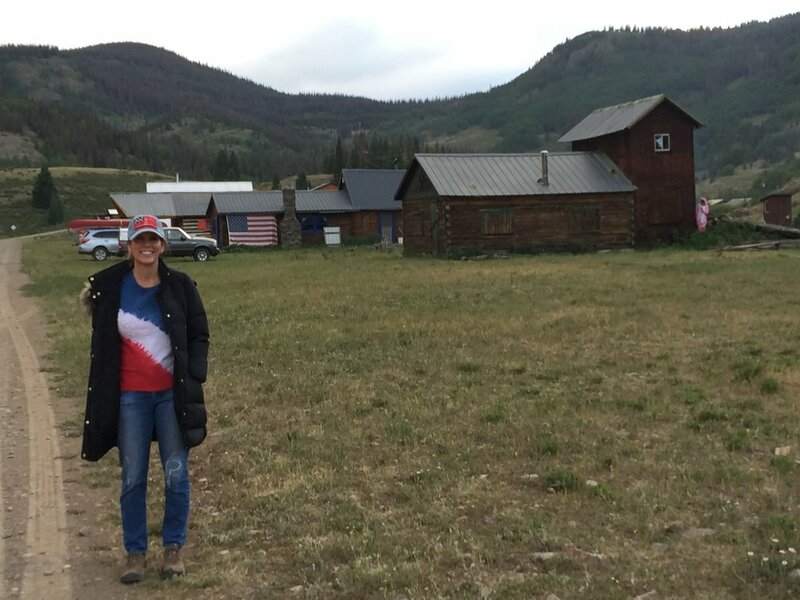 We stayed in a wonderful cabin compound in a small mining village of Platoro, Colorado up at about the 10,000 foot elevation. 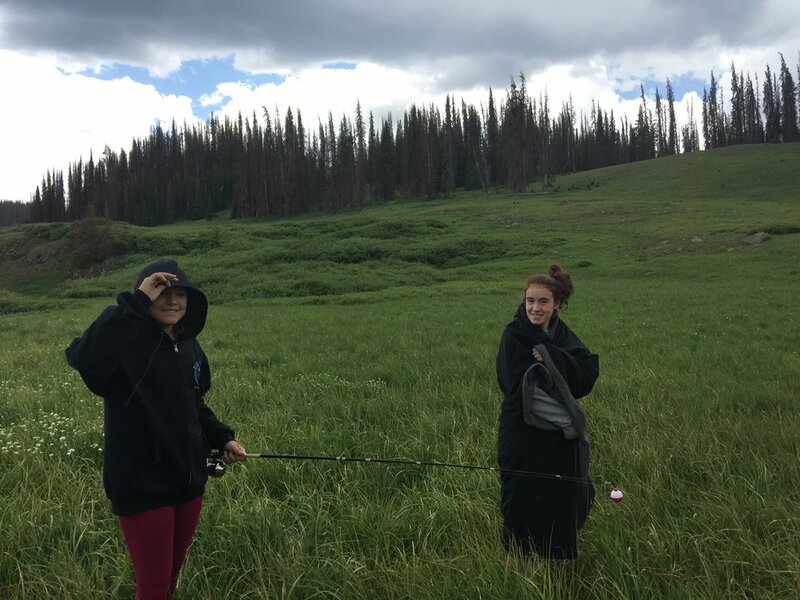 Ok this is not Park City, Telluride or Tahoe….. no this is Platoro. Simple, isolated, unpretentious and totally casual and just what we needed given the last few weeks. As we always manage to do in Candelaria Style we threw in some excitement. This time in the form of rolling Isabel’s Highlander down a 40’ embankment while jeeping in the high country. Fortunately, Isabel was not with us but I had my two girls and Isabel’s mom in the car when we went over the edge. Basically, another car was coming up while we were going down and as we nudged over for us both to pass we got a little too close to the edge and the next thing we knew we were rolling down the embankment. Fortunately, a spruce tree stopped us or we would have gone a lot further. We landed upright, crawled out of the vehicle and shimmied up the embankment which was actually more of a challenge than the roll down the hill. We all made it without a scratch and the people who passed by us kindly helped us with the rescue and then took us back to our cabins. Needless to say, it was a miracle we all survived and especially with no injuries. We had a great time the rest of the trip. All of Isabel’s cousins and their kids, and her Aunt and Uncle, all made it up towards the end of the trip and we had some fun jeeping, caught some fish, did some hiking, plenty of good cooking and I also had time to paint a painting of my Isabel while on a boat on Lake Como on our wedding day! I hadn’t painted in years so it was nice to draw/paint something other than roof tiles and stucco! I am definitely going to do more so get ready as I plan to paint my friends and clients, travels, and of course – architecture. We are all safely home now and back to work. Lots of cool projects on the boards and under construction now with projects from the Hamptons to the Oregon Coast line. I love it. 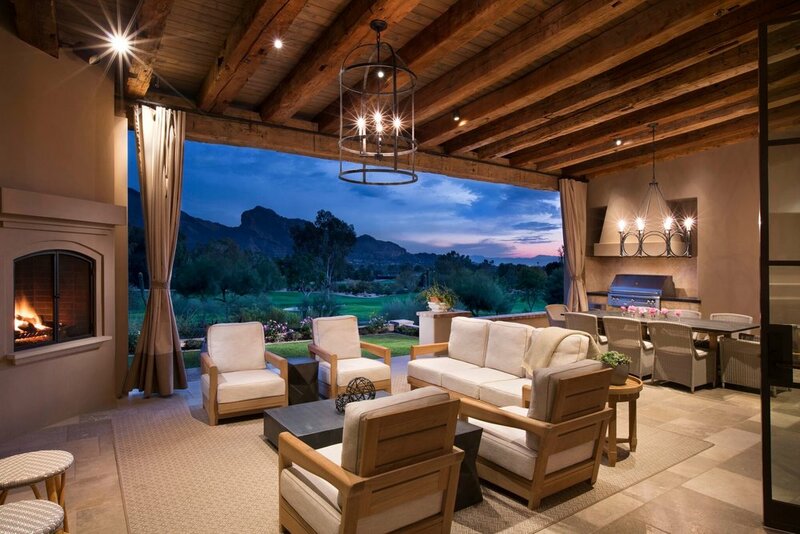 We also are very proud to be featured in the current issue of Luxe Magazine with a beautiful home we created with Vallone Design http://www.vallonedesign.com , Berghoff Design http://www.berghoffdesign.com and masterfully constructed by Schultz Development http://www.schultzdevelopment.org on the Paradise Valley Country Club. Outstanding job by my associate, architect, Jeff Kramer! What a wonderful home for absolutely fantastic clients and friends. Pick up a copy and check it out! 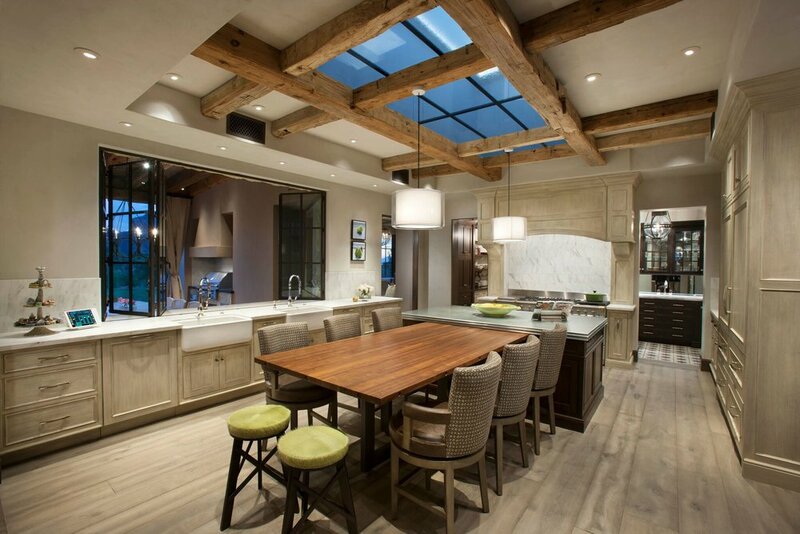 We also just had a remodel featured in Houzz. This project was a whole house remodel built by True Performance http://www.trueperformance.net with interiors by my wife, Isabel and her team at Earth and Images. The project was spearheaded by our Project Manager, Damon Wake. Houzz featured the Kitchen Makeover – our Kitchen is number three – Transitional https://www.houzz.com/ideabooks/88301273 More to come on this makeover I am sure. 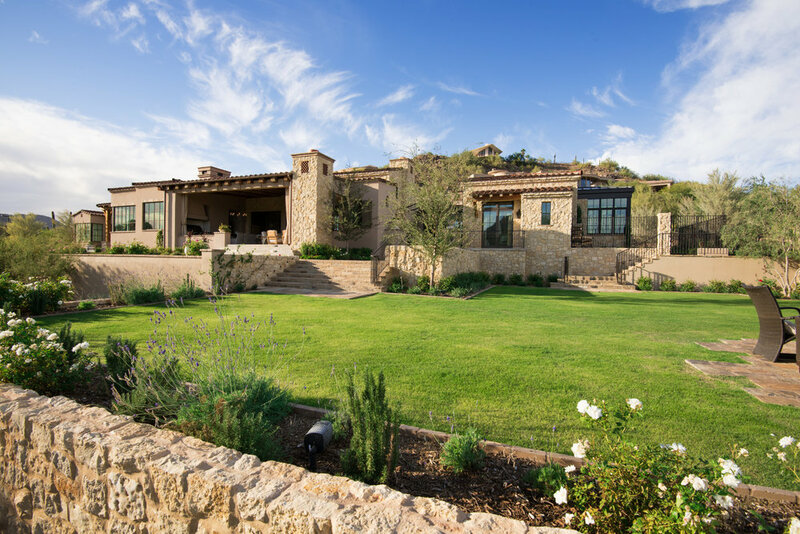 We are also happy to see the winner announced on our Candelaria Design HGTV Smart Home 2017 right here in Scottsdale, AZ. So exciting to see her happiness and I look forward to cooking a Candelaria meal in her new kitchen! Finally, this week a group of our Candelaria Team will be heading to Newport Beach, CA for our second year of leadership, management, and career development training with MAPS https://www.mapconsulting.com. I first did this program in 1999 and have loved what it has done for me. A group of us did this last year and we are excited to get more members of our team on board. So we may be a bit shorthanded as we head to the end of the week as Vivian, Evelyn, and I will also be flying out to do some long term planning with our other team members. We are excited about the second half of the year. It is definitely getting busier and the Phoenix market is picking up for sure. Ok off to the drafting table! Have a great July everyone!